Under the recharge, Airtel users will be able to make unlimited STD, local and roaming calls without any FUP. The recharge is valid in only select circles and users should check before recharging. 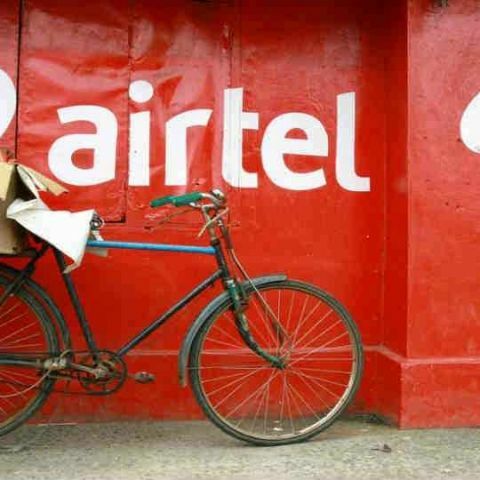 Airtel has launched a new long-term prepaid plan for its consumers priced at Rs 995. With the recharge, subscribers can avail unlimited local, STD and roaming calls along with 1GB of 4g/3G data per month. They will also get 100 SMS per day and this plan is valid for 180 days. The new prepaid pack is available for Airtel’s select circles and consumers can check if it is available by going to company’s official website before recharging. Although Airtel’s Rs 995 prepaid recharge offers only 1GB of data per month or 6GB of data overall, users can avail truly unlimited calling without any FUP. This plan is more suited for users who prefer calling and have relatively lower data usage. Jio also has a prepaid plan priced at Rs 999, which offers unlimited voice benefits with 60GB of uncapped data. Users will also get 100 SMS per day and complimentary access to Jio’s suite of apps like JioTV, JioCinema and more for 90 days. Reliance Jio also offers a long-term prepaid pack with 180 days validity priced at Rs 1,999. Unlike Airtel’s offer, Jio users will get 125 GB of data for the entire validity period with unlimited local, STD and roaming calls. The recharge comes with 100 SMS per day and unrestricted access to Jio’s suite of apps like JioMags, JioTV, JioCinema and more. Airtel recently revised its Rs 98 prepaid plan for its customers in Andhra Pradesh and Telangana Circle. Under the recharge, users now get 5GB of 4G/3G data with a validity of 28 days and it’s aimed at heavy data users, it doesn’t come with any bundled voice or SMS benefits. For all other circles, recharging with the same amount will get users 1GB of 4G data with a validity of 28 days. Airtel has also announced a new Rs 2,000 cashback offer under its ‘Mera Pehla Smartphone’ initiative. On purchasing select 4G devices by Motorola and Lenovo like the Moto C, the Moto E4 and the Lenovo K8 Note, an Airtel subscriber can avail the cashback. However, the cashback is segmented and in order to be eligible for the first refund of Rs 500, the users need to perform a cumulative recharge worth Rs 3500 within the first 18 months. They then need to again recharge with Rs 3500 over a period of 18 months to receive a second cashback of Rs 1,500.